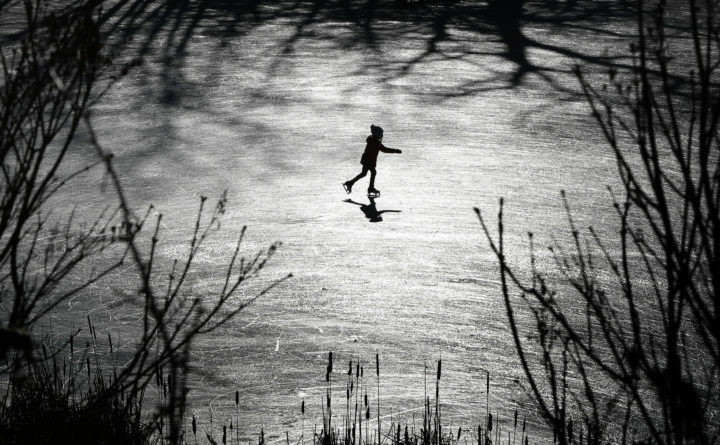 A girl skates across a frozen pond in Freeport, Dec. 26, 2018. Good morning. Temperatures will peak in the low 20s with sunny skies throughout most of the state. Lisa Chan, Josephine Yao, Mike Yao and Michael Cui, pictured at Panda Garden in downtown Bangor on Jan. 10. The Yaos sold the restaurant to Cui of Asian Palace II, who will rename it Asian Garden. –Mike and Josephine Yao arrived in Bangor for the first time in 1988, and they finally felt like they were home. 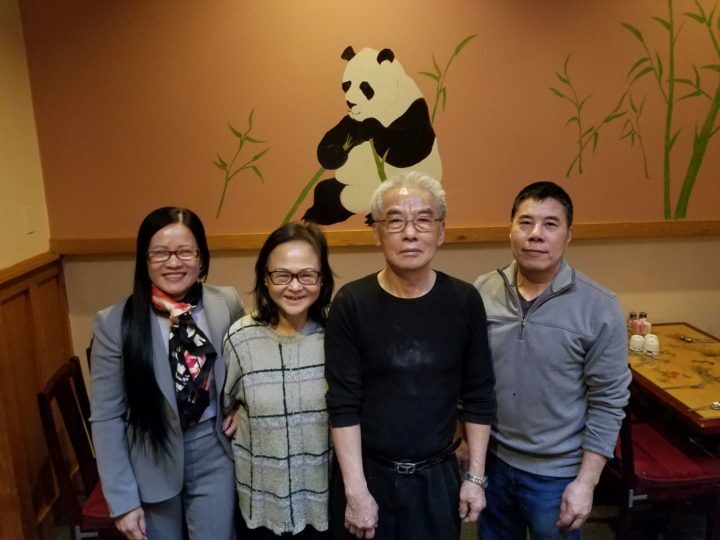 Thirty years later, their downtown Bangor restaurant, Panda Garden, has become a staple. But the Yaos are ready for retirement. 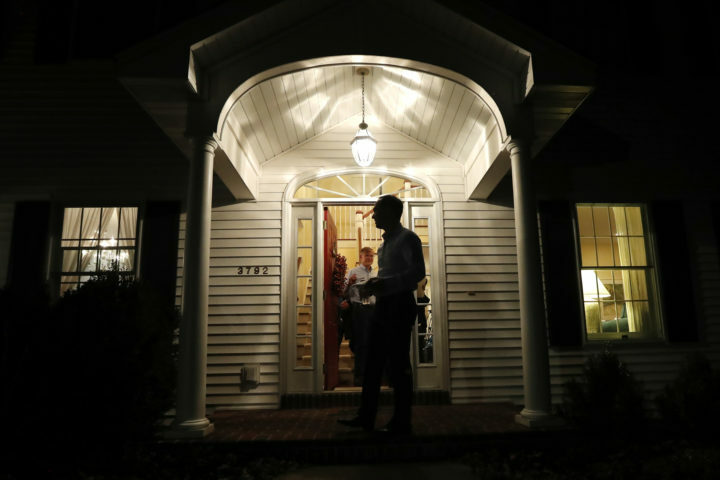 Former Housing and Urban Development Secretary Julian Castro stands on the front porch after speaking at a house party at the Ed and Jane Cranston home, Monday, Jan. 7, 2019, in North Liberty, Iowa. –Bangor officials should launch a comprehensive rental inspection program, take neglectful landlords to court and try to promote the development of more affordable housing. Those are just a few of the recommendations to improve the city’s housing market contained in a new report that will be presented to the Bangor City Council at 5:15 p.m. on Monday. –The bills would allow marine harvesting to occur along Acadia National Park’s tidal mudflats and require congressional approval for any expansion of the national park. Sen. Angus King and then-Rep. Bruce Poliquin introduced a similar proposal two years ago. It passed the House, but didn’t make it to the full Senate. 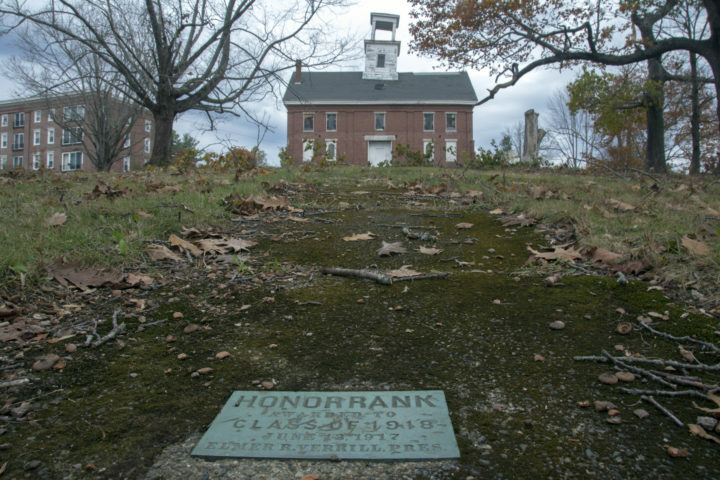 The 177-year-old Wilson Hall of Bucksport has faced demolition many times since 2000. Since this picture was taken, part of its tilted cupola has been removed. –Town councilors want Bucksport’s town manager to negotiate a purchase-and-sale agreement that would allow a local developer to buy the town-owned property for $1 so he can convert it into apartments. –In his annual State of the City address Monday evening, Portland Mayor Ethan Strimling said he’ll call for a local Clean Election fund as part of a slate of voting and transparency reforms. Brandi greets Amy Faircloth just after she was sworn in as Judge of Probate on January 3, 2019. Brandi, a five-year-old whippet mix, is a familiar face at the historic Penobscot County Courthouse where she goes to work daily with her owner, Register of Probate Renee Stupak. Even though Brandi is not a trained therapy dog, she calms many people who are going through difficult situations. –Penobscot County Register of Probate Renee Stupak started taking her adopted whippet mix to work more than two years ago. 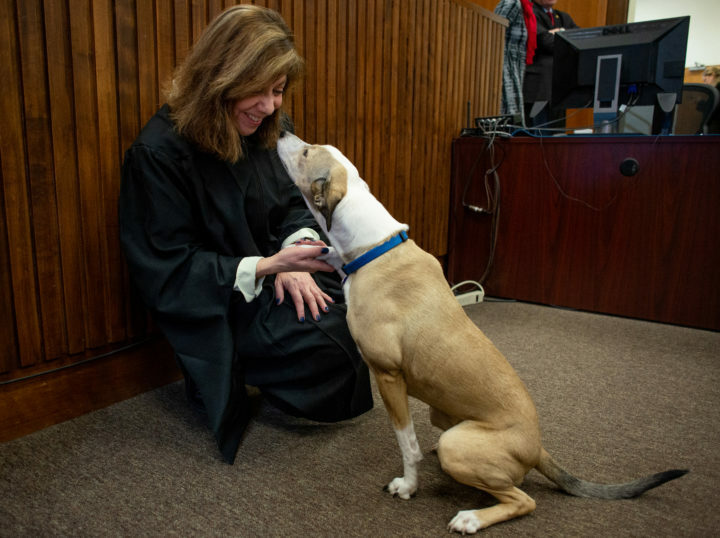 Since then, her 5-year-old pooch has become Penobscot County Probate Court’s unofficial therapy dog, offering comfort to county employees, attorneys and the people with often stressful proceedings before the court.